No. 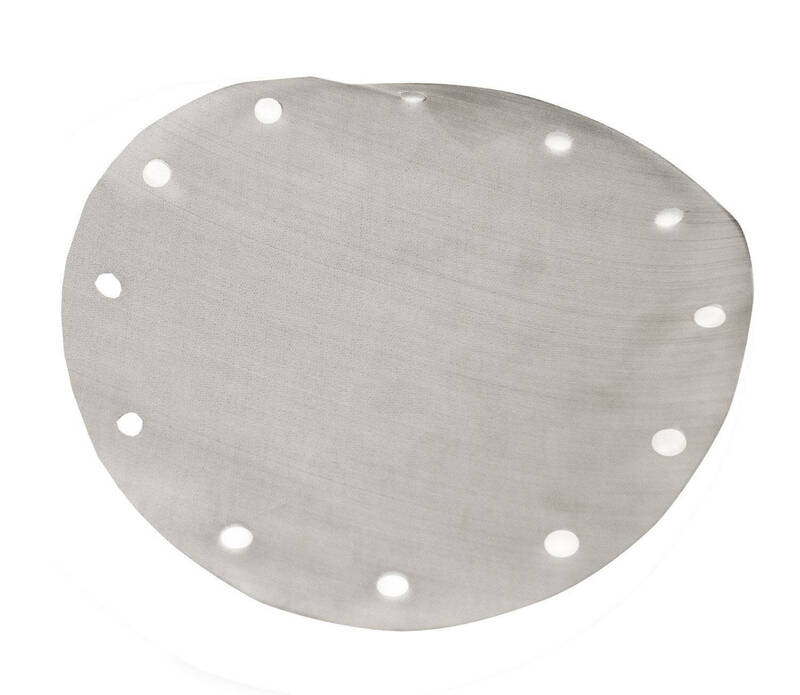 100 Stainless Mesh 3in Replacement Disc - Gilson Co.
WTA-22 Stainless Steel Mesh Replacement Disc is 3in (76mm) diameter with No. 100 (150µm) openings. The pre-cut disc is made with ASTM E11 testing grade wire cloth and has punched mounting holes for an exact fit in WT-60 Nickel Plated Wet-Wash Sieve Frames. Replacement Discs are interchangeable and easily replaced when worn.